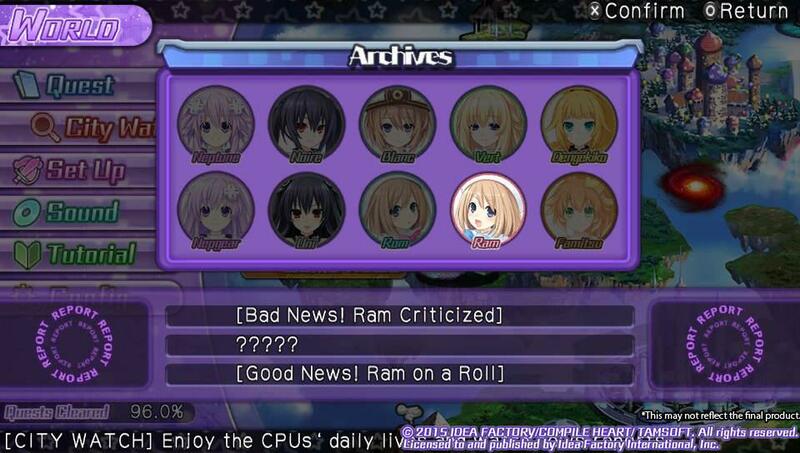 The fans of Hyperdimension Neptunia have been getting quite a treat recently. This JRPG based created as a parody of the gaming market has had many sequels pushed out as well as a few spin-offs. 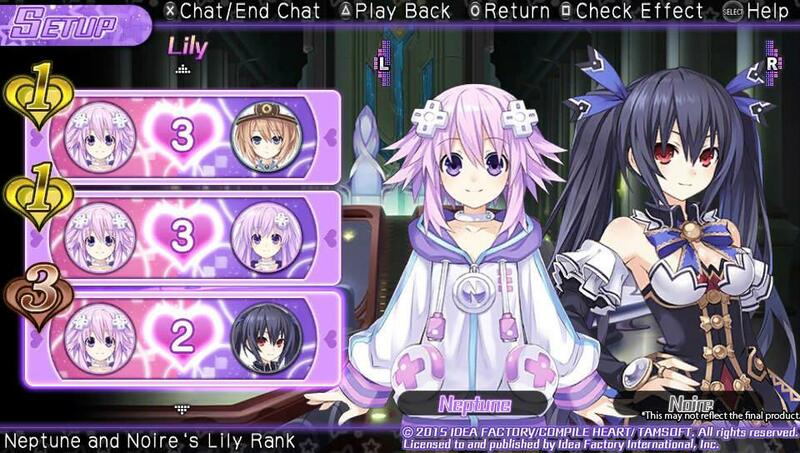 The upcoming Hyperdimension Neptunia U: Action Unleashed is the first attempt at a hack and slash action game. Fans may be surprised by this shift away from the traditional gameplay style of the series. Unlike the core games where some strategy is needed during fights, it is unnecessary in this title. You can button smash your way through the fight while executing flashy combos. This simplified hack and slash gameplay is the only major change with the rest remaining familiar to fans. 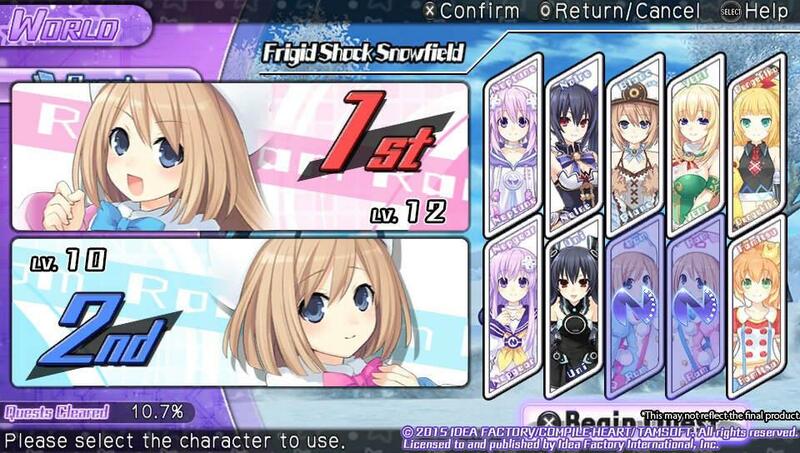 All CPUs and CPU candidates will make an appearance, meaning you’ll be able to play as Neptune, Noire, Blanc, Vert, Nepgear, Uni, Ram, and Rom. 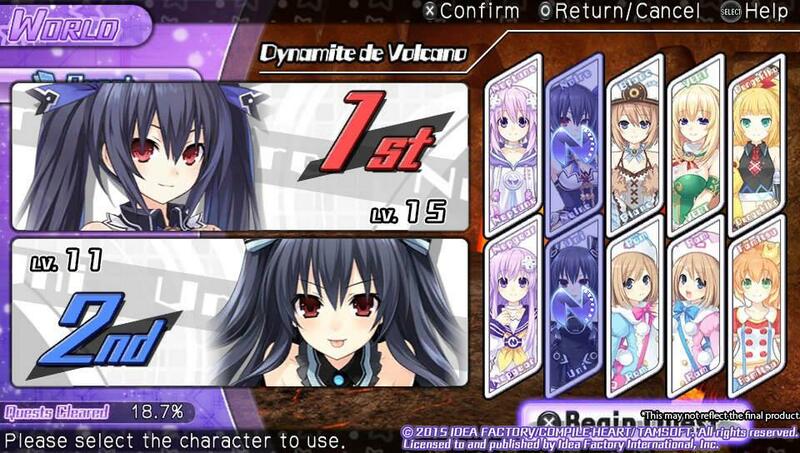 These are not the only combatants however, as two new characters have also been added—Dengekiko and Famitsu. These new additions will be representations of the Japanese magazines Dengeki and Famitsu. 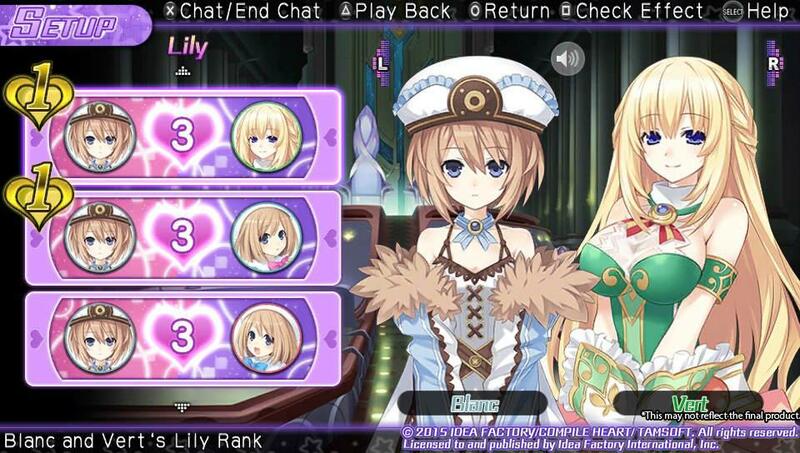 The disc development system that allows players to modify and customize items is still in use, as well as the core affection based lily rank mechanic which improves as the characters fight together. Increasing this rank allows for increased experience and less recovery time. There is also a medal system used to boost stats via medals dropped by defeated enemies. 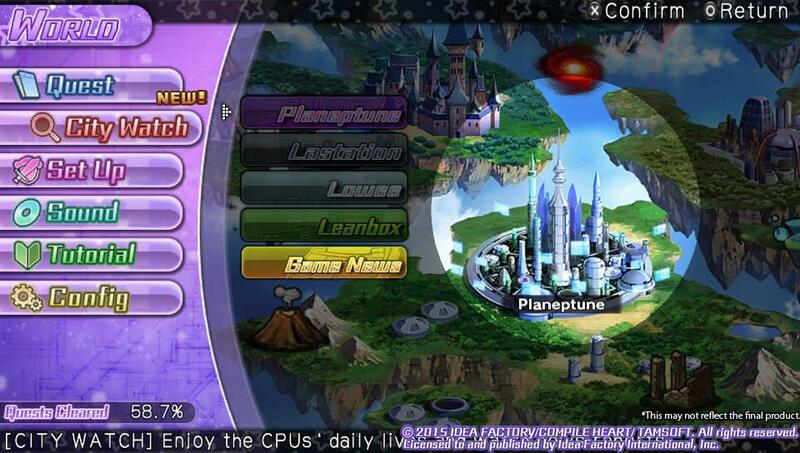 The game utilizes the overworld map like the previous games in which you choose your missions. 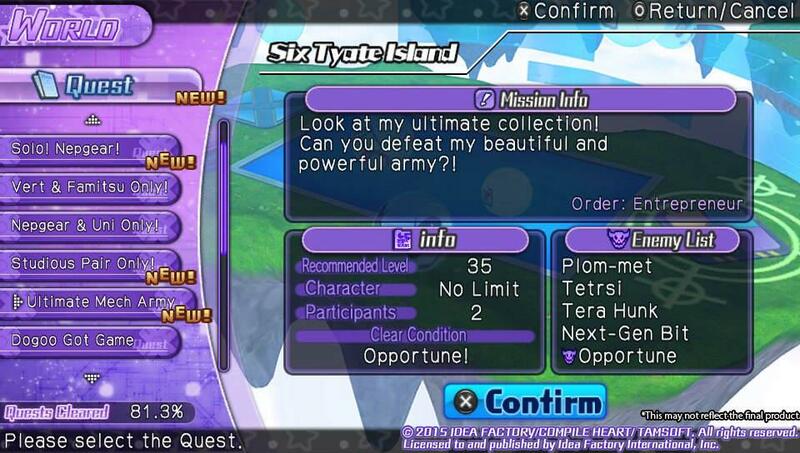 Though some missions have special requirements like completing them with specific characters. Also there is a city watch feature that allows players to view news reports on their battles, and potentially receive bonus items. There are several difficulty settings and a handful of additional gameplay modes to choose from, once you have beaten the core game. Gauntlet mode is a one-on-one tournament where you fight against all the other characters from the game. Another addition is “Tower mode” that has players ascending higher up a tower, with more powerful enemies to fight on each stage. 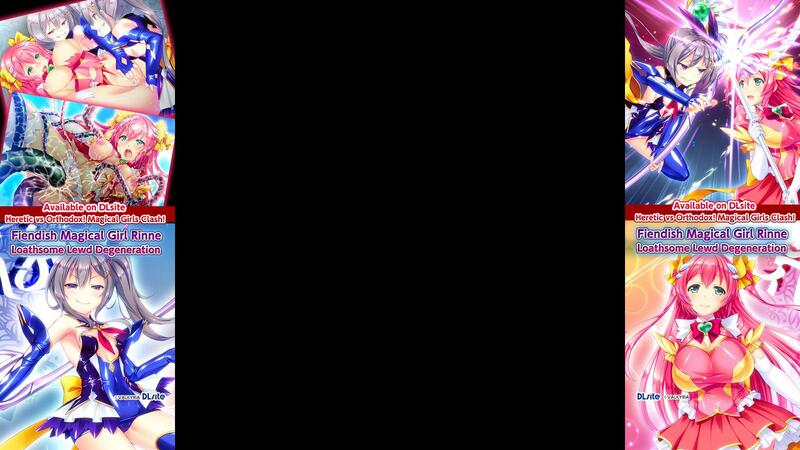 If you are finding the game too difficult, the developers have even included a built-in cheat system that will let players break the gameplay systems. 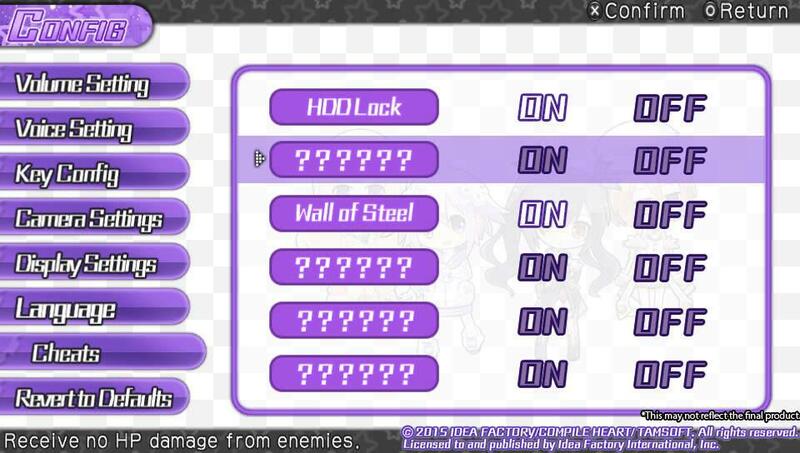 The developers of Hyperdimension Neptunia U: Action Unleashed have released a new series of screenshots for the upcoming game. 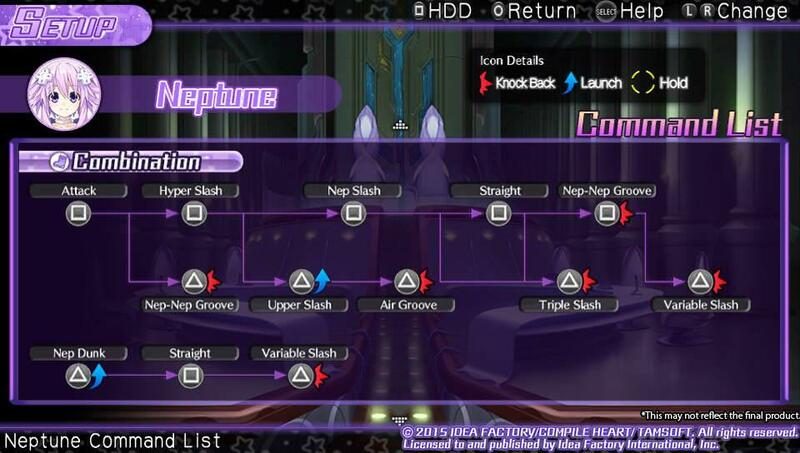 The screenshots display some of the characters and systems of this release. 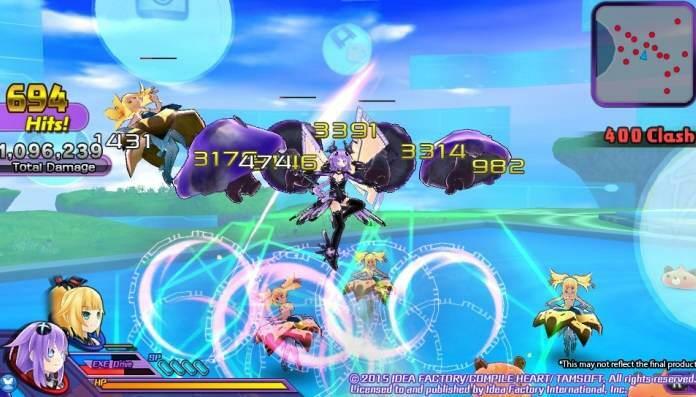 Some of the attack moves are also displayed in the images. 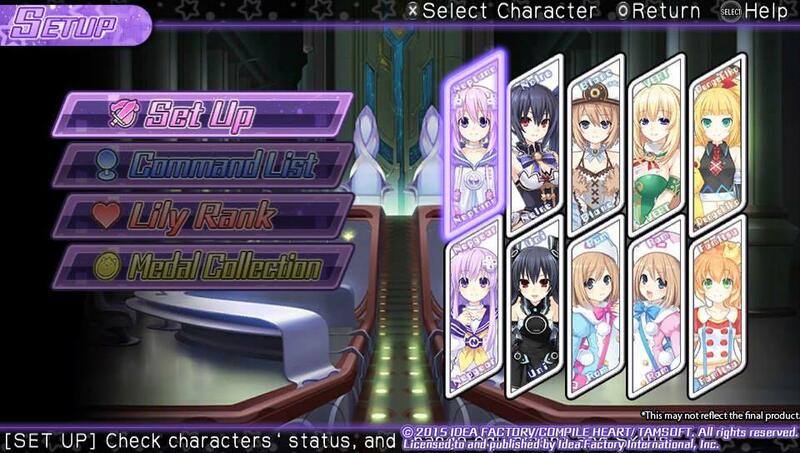 Hyperdimension Neptunia U will be released for PS Vita exclusively this Spring. If you enjoy our content and would like to support us, please consider donating to our Patreon..